Technology can only go so far. Despite the ubiquity of consumer devices, the Internet and social media, there are still some things that need to be handled with grace, compassion and a real live human touch. Take Anna Lamb-Creasey’s ordeal, for instance. 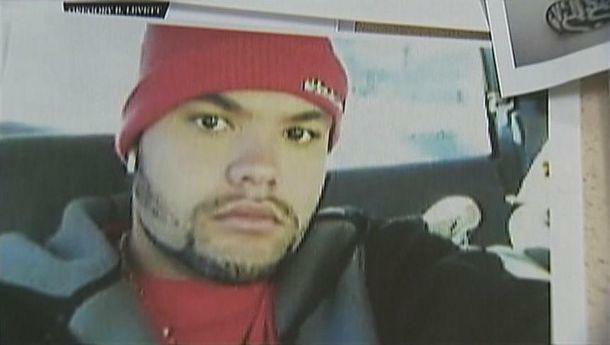 The Georgia mother was despondent when her son, 30-year-old Rickie Lamb, disappeared. Nervous and worried, she called hospitals and jails, even posted on his Facebook page: “Rickie where are you? Love mom.” Almost a month went by, and there was no word, no clue to her son’s whereabouts — until Lamb-Creasey finally clicked on a message in her Facebook account’s “Other” folder. A message from the police in Clayton County, Ga., had been waiting there, instructing her to contact the department. That’s when she found out what happened. Rickie was dead, struck down by a vehicle on Jan. 24 — 20 days before his mother learned about the tragedy. Both she and her daughter had received the communication, but disregarded it as fake. Like so many Facebook users, they weren’t familiar with the “Other” folder, which is a holding tank for messages from people outside their networks. It didn’t help matters that the police used one of its employees’ private Facebook accounts to contact the women. When they saw a message from an unknown sender named “Misty Hancock,” whose profile photo showed her posing with Atlanta rapper T.I., they did what many of us would do. They chalked it up as spam. But it wasn’t fake. And now Lamb-Creasey is furious at the police for contacting her about Rickie’s death over Facebook. The department claims that they had tried other ways, and only used the social network as a last resort. But that’s no comfort for the grieving mother. Looks like there are several gaffes here. Even if the police truly couldn’t locate Lamb-Creasey, it’s utterly baffling why they would use a strange individual account instead of an official account. Or why they would neglect to spend $1 — what Facebook charges to ensure delivery to the Inbox — for such an important message. Speaking of the company, perhaps it needs to do some soul searching as well. 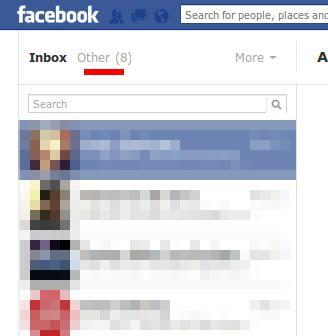 Obviously, it needs to do a better job of informing users about that “Other” folder. If it had done that sooner, maybe it could have helped ease some of the suffering for a woman who was clearly caught up in a mess of modern-day failures… unaware that her son’s body was laying unclaimed at the morgue.